Get Competitive Insights On Any Website | Brand On! If you want to easily “spy” on your competitors’ websites, SiteAlerts is a great tool for this. 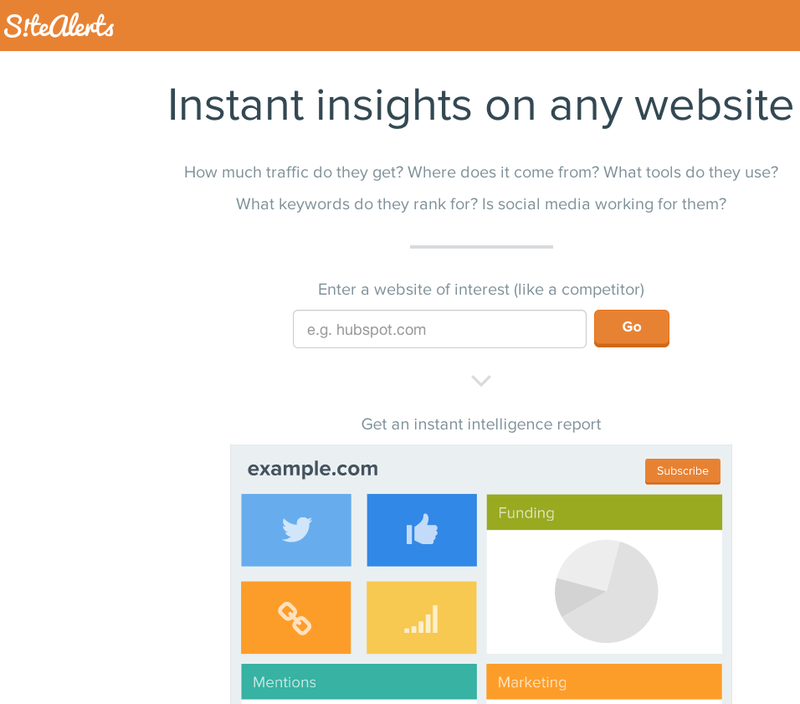 With it, you can instantly find out who is referring traffic to your competitors, what keywords they are ranking for, related sites, social referrers and recent online mentions.